Today, I continued my fun development on CrossTrackr with the Facebook Graph API as I had a few things to fix or update (to say the least). While doing this, I noticed that there was a callback for when a user deauthorized your app. Which currently on CrossTrackr, if a user did this and then tried to post, it would catch it and then just reset the user's settings. Although that worked, I wanted a better solution and this offered it by simply allowing me to complete the process on my end as soon as they executed the deauthorization. In the most simple explanation, facebook simply sends a form post with a signed_request field value. You need to take this value and decode it properly so you can view the user_id, find in your system and then do what is necessary (depending on your implementation). I could not find specific info on what was being returned on the Facebook developers portal (maybe because I did not look hard enough before googling) but lucky for us, there are many people out there that share their knowledge when they themselves figure it out, which is all I am doing here myself. The code that I have below is basically a port of a few PHP snippets and some other smart developers that were able to create an equivalent to PHP's hash_hmac. 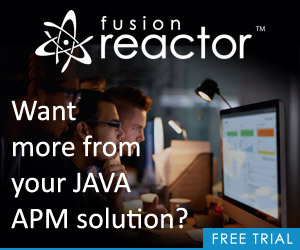 I hope this helps you out if trying to do this on ColdFusion. I'd like to thank the contributors of the following posts.